A beautiful set of swans decorated with watercolour flowers. Perfect for a modern romantic styled bedroom. 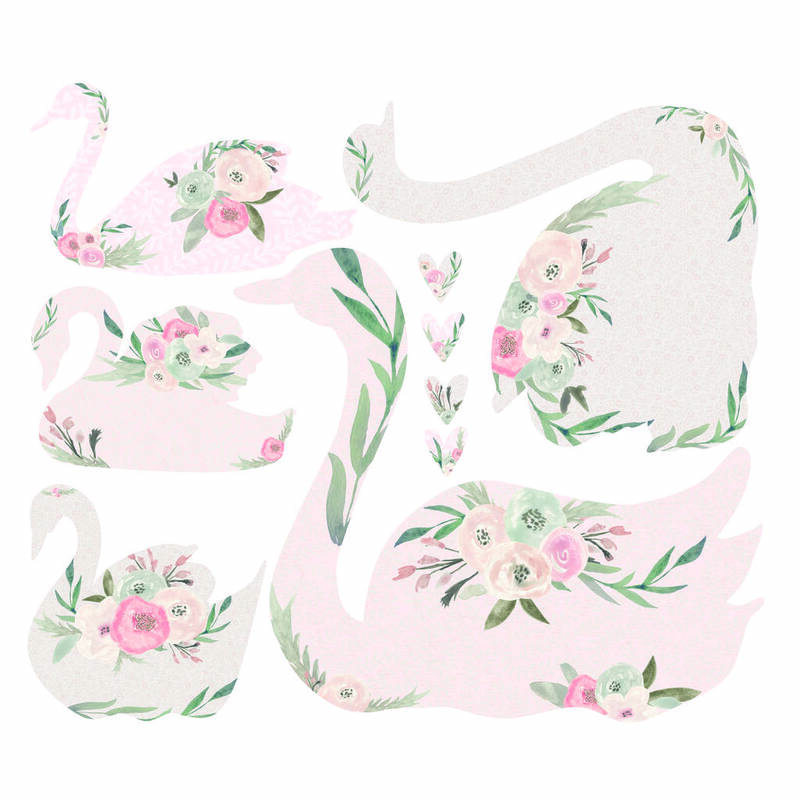 The patterned respositionable fabric swan wall stickers that are ready to just peel off and apply. 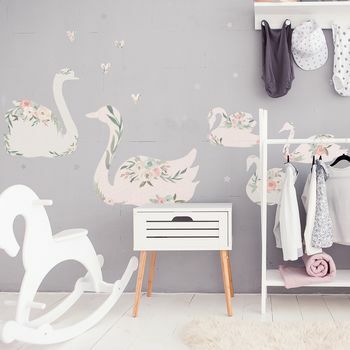 Our Spin Collective swan wall decals are made from a matt eco friendly woven fabric that will stick to any smooth surface. With a slight fabric texture even the worst crinkles can be smoothed out during application. Can be repositioned many times and used again. Complete with fabric hearts. Just peel off and apply. Set size 65cm x 65cm (the largest swan is roughly 46cm wide).